Vehicles in both directions may not pass. Vehicles next to the broken line may pass. Vehicles in both directions may pass. 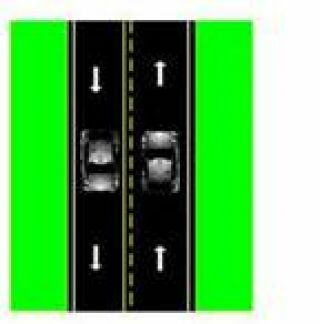 Vehicles next to the solid line may pass.